In The art that made me, artists discuss works in the Art Gallery of NSW collection that either inspire, influence or simply delight them. This selection by Ildiko Kovacs first appeared in Look – the Gallery’s members magazine. 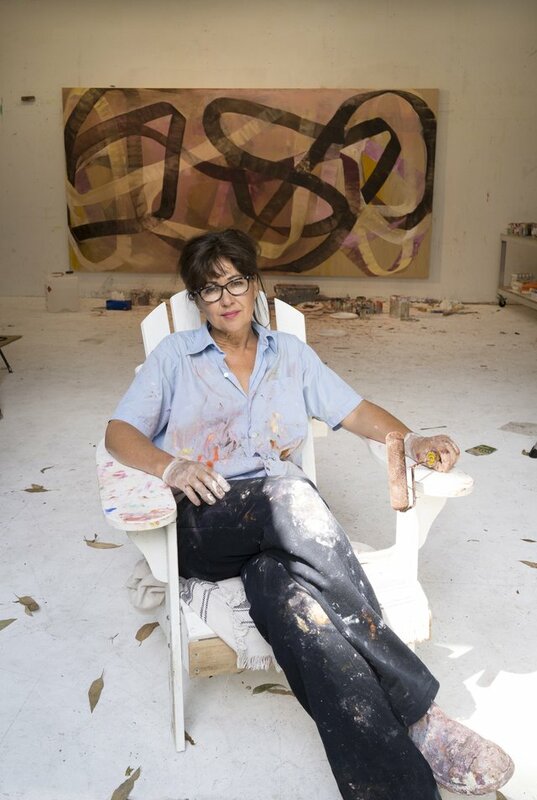 When I began painting in the early ’80s I was particularly interested in the Abstract Expressionists. Philip Guston and Willem de Kooning were my teachers metaphorically speaking. Like most Anglo-Australian painters I looked elsewhere for inspiration, to the pantheon of artists abroad. It wasn't until the mid ’90s when I took a trip to Broome and the Kimberley region and immersed myself in the landscape, and the rock art, that I realised what lay in my own backyard. After that trip I found my thoughts drifting back to memories of childhood camping trips, the bright Australian light, the dryness and the heat. Vast open spaces and the roads that go on for an eternity. That view far into the distance; a place like no other. 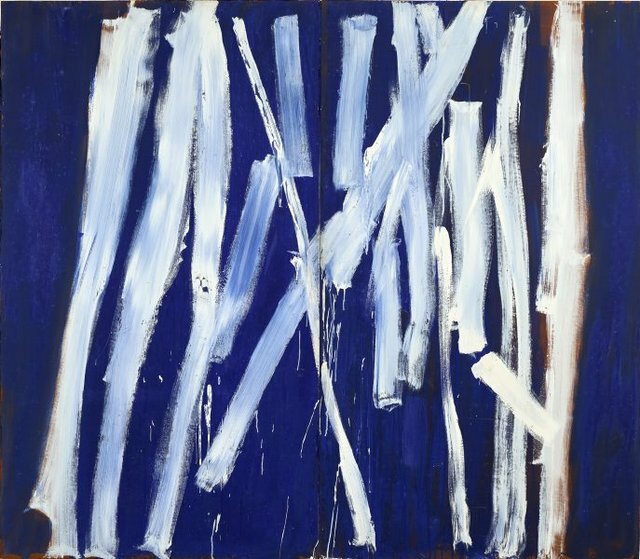 I remember the effect Tony Tuckson’s White Lines (vertical) on ultramarine 1970-73 had on me when I was an art student. It struck a chord that was like an awakening, something primal resonated in its directness, freshness and immediacy. I was shown a language of emotion which spoke to me with intimacy; a feeling of having been given permission to paint. I still have the same connection to this work, it drives a compulsion to paint unencumbered by any preconceptions. The picture is about the act of painting. Tuckson knew freedom as a painter, as did Ian Fairweather. Fairweather’s Anak Bayan 1957 struck me with its use of gouache; the dryness of the material and the layered workings visible; tracing passages through the making. 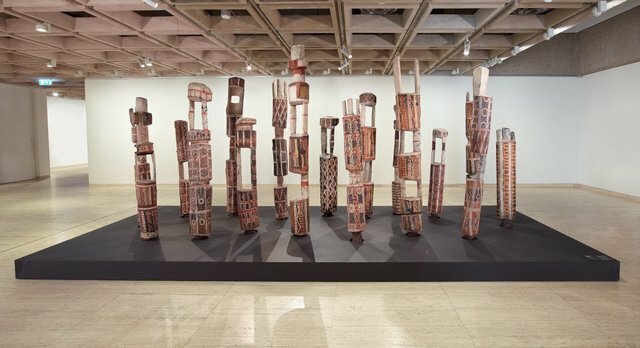 Also in my memory are the Aboriginal burial poles, Tutini (Pukumani grave posts); then sitting in the foyer of the Art Gallery of NSW, with a presence beyond words. I had never seen anything like them and wondered what I was looking at; their mystery lingers still. I mention these three artworks in one breath, as I think it interesting that decades later I have come full circle and understand those first attractions more clearly now. All the works I cite come of this landscape. So when I stood in front of Anak Bayan all those years ago, I now understand what drew me in. It takes many years of tracing our experiences through a life of making marks, before we are able to tell some kind of story. Fairweather’s relationship with place is what I identify with. The subject is not the focus for me, it's the way the painting is painted, being able to witness the process of the mark making. There is also something remarkably beautiful about his use of colour. He paints the way nature falls, unexpected, with its own rhythm. I can look at his paintings like pages in a story, one layer sits on top of the other, revealed as naturally as earth under leaves. When you look at his paintings it is as if you are walking in the bush, dry foliage crumpling under your feet, taking you closer to the hidden ground beneath. Great art stimulates all the senses, it lights up the imagination. Three decades later I stand in front of these artworks and feel the same freshness as when I first saw them.